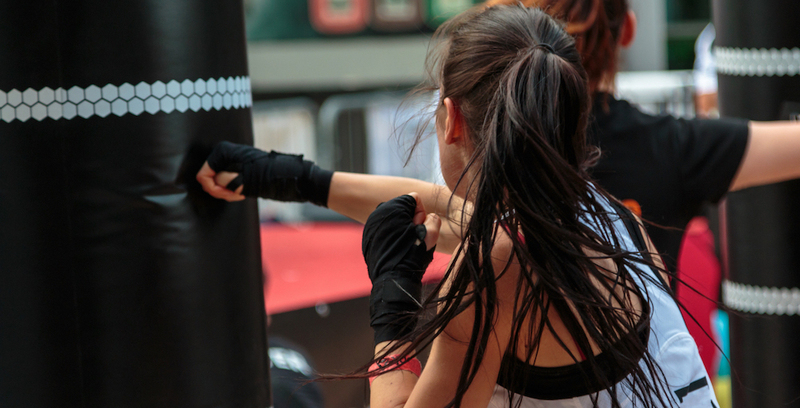 Have Fun Challenging Yourself And Seeing Real Results In Our Fitness Kickboxing Classes! Are you looking for a great way to combine cardiovascular exercise, total-body strength training, and lightning-quick striking skills? You've come to the right place. 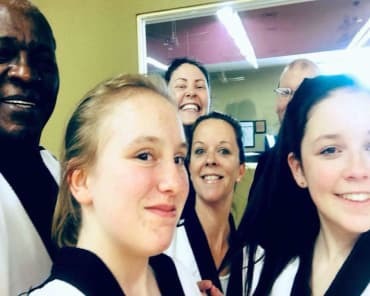 At Folsom Academy - Family Taekwondo, our Fitness Kickboxing classes are designed to challenge men and women of any skill set with exciting workouts that help you get the very most out of every movement. This class is great for all experience levels. Just fill out the short form on your screen to learn more! What Can You Expect On Day One Of Our Fitness Kickboxing Program? For starters, you should know that we train complete beginners every single day. The goal in this program is to help people of all fitness levels feel supported and motivated on the path to improved health and wellness. At Folsom Academy - Family Taekwondo, we'll help you learn how to build a foundation of striking skills before pushing you to be faster and more efficient in every movement. Our classes are built to keep you out of harm's way while you learn the ins and outs of striking with your fists, feet, knees, and elbows. That's the point, right? To challenge your body and walk away with the results to prove it? At Folsom Academy - Family Taekwondo, you can enjoy a light-hearted environment where we have fun getting after it. Our Fitness Kickboxing classes combine rapid-fire drills, targeted core work, and effective endurance training to help everyone find success. Learn More About Our Fitness Kickboxing Classes In Folsom Today! It doesn't matter if you're an advanced athlete or haven't been active in years. 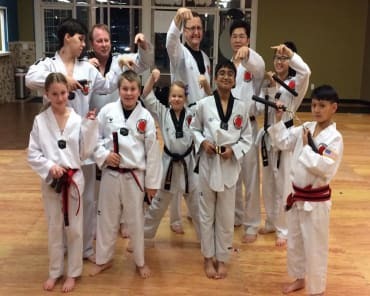 We're here at Folsom Academy - Family Taekwondo to adapt our training to meet your unique skill level and help you get the most out of your fitness journey. Fill out the short form on your screen to learn more about our Fitness Kickboxing classes and everything else we have to offer.